Event on "Media and Mental Health"
H.M.Queen Letizia attends the “Medios de Comunicación y Salud Mental” in Madrid today. Queen Letizia visits the School of Engraving and Design of Spain's Mint (Real House of Currency) for graduation diplomas of the "Tomas Francisco Prieto 2018 Prize"
Here's a video of the queens visit to the Real Monasterio de la Encarnacion in Madrid today. 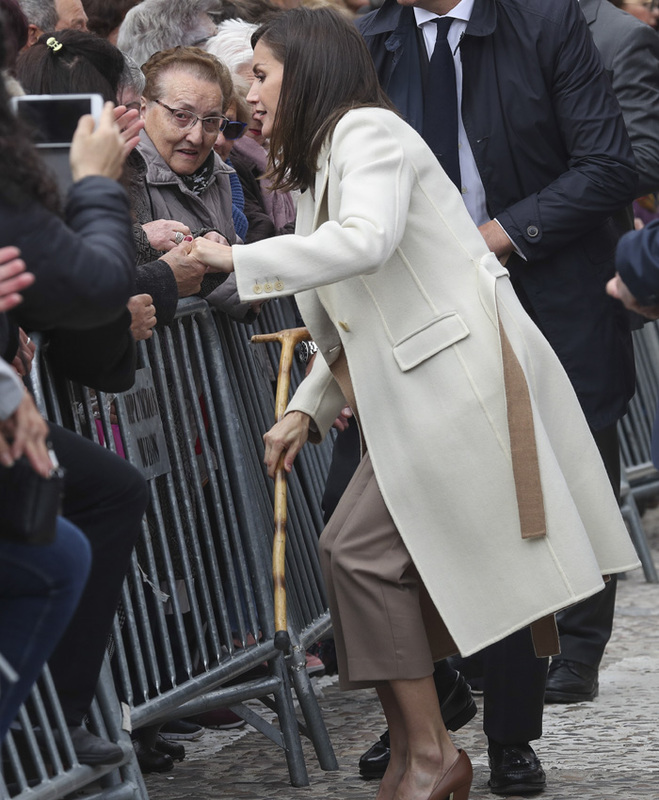 Yes I spotted Letizia trying to pick up something but wasn't sure what it was a very nice and kind gesture. "However, when she arrived, what we found was...a real person! She came to greet each one of us, she looked us in the eye, asked how we were, thanked us for writing from the heart and helping so many people...We found a person with heart, simple and warm. How many times we see the position of our boss, doctor, dean, prioress, director, colonel, bishop... but we don't see that behind it there's a person with feelings, a family, friends, dreams, suffering, joy. In truth, a beating heart. 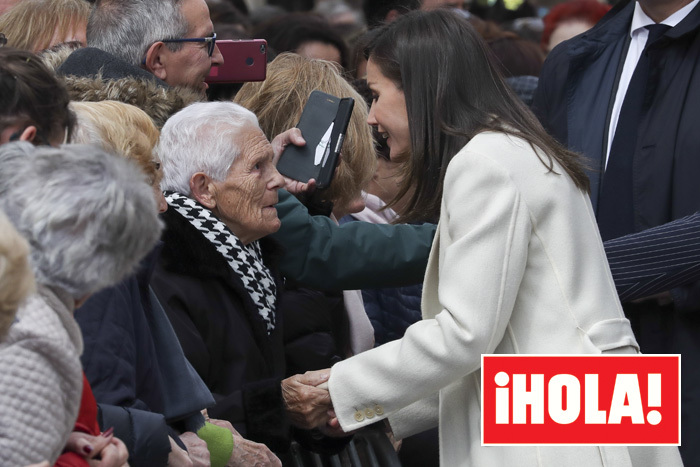 And that's what we found yesterday in Queen Letizia, and to her in person, like to everyone who comes to our monastery, we offered our prayers and affection." The photos are delightful the nuns looked thrilled but I just wonder why the visit was not possible and then possible? The monastery is not part of the exhibition so it was not in the official program of the visit, probably because of that protocol of the Royal House rejected it at first, but having time they decided that Queen Letizia could make a private visit. They are cloistered nuns, and the photos have been published by them that are active on the Internet, but neither the Royal House published images nor the press had access. Absolutely delightful. The look on all of their faces. Made my day to see such happiness that was so spontaneous and without constraint. The photos were a delight you could look at them all day,the nuns were thrilled to meet the queen and the warmth was so natural.Wonder what was the book they gave?